Berry Outdoor Living creates living areas that feel connected to the home. We try to create the space so it feels relaxed. It should feel like it's been in place with the home for years and not an "add-on". As a Landscape Architect, Landscape Designer or Landscape Contractor that merges old and new construction into the landscape design, the goal is to build a space people want to spend time, whether at the bar of the outdoor kitchen, fire pit, patio, or covered porch. When a space becomes a large part of the homeowners' daily life, that's when I know a project has been completed with excellence. I work closely with a Landscape Architect through the design process to ensure the space has the correct "feel". 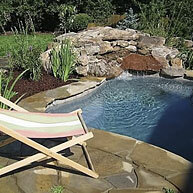 A quality landscape design must allow the space to flow from the inside of the home out. The patio and outdoor living space feels like an extension of the home, or another "room" of the home and feels wrapped with fresh, low-maintenance landscaping. 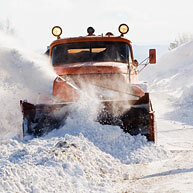 I have partnered with Brett and his team on numerous projects over the years. 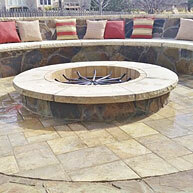 The guys at Berry Outdoor living Inc. are creative, detail orientated and a pleasure to work with. Brett communicates with all parties involved to see that the job is done right and in a timely manor. 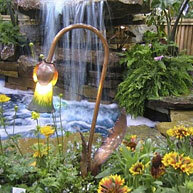 I would highly recommend Berry Outdoor Living, Inc. for outdoor living areas, landscape lighting, and landscape design. WOW! What an amazing job Brett did for us, we love our new ourdoor living space. From day one Brett was excellent to work with, from his consideration of our budget – to his amazing creativiity and craftsmanship, he truly is an expert in his craft! With the help us his amazing staff, Brett and his team removed our old deck, installed a beautiful stained concrete patio w/ flagstone accents and built a fireplace that is the envy of the entire neighborhood! This is no ordinary “pre-fabricated” fireplace! 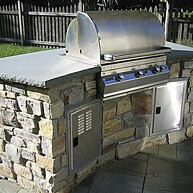 No, Brett designed and built our beautiful flagstone fireplace on-site, truly a work of art. If you are looking to transform your home, I highly recommend a new outdoor living space and more importantly, I recommend you call Berry Outdoor Living! I’M VERY PLEASED WITH THE WORK. Very professional. They completed the work ahead of expectations. My deck looks great!!! They took down the old wood deck. They consructed a landing with steps from the back sliding door. 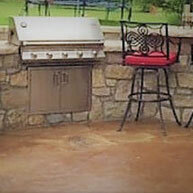 They used this beautiful rock overlay on the existing concrete. Looks like a totaly new patio. They constructed a pergola for shade. 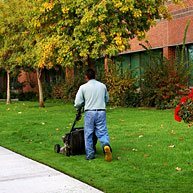 I have known Brett for over 10 years and have worked with him on several landscape projects. In all my experiences working with Brett I have discovered Brett’s professionalism and creativity to always be at the forefront of his priorities. His ability to implement clients unique design ideas and outdoor living desires has always impressed me. 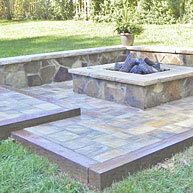 I would highly recommend Brett for any outdoor living projects that you may be planning. You will find him to be a pleasure to work with and his craftsmanship to be something you will enjoy for years to come. 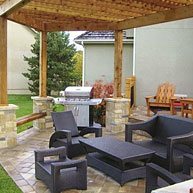 In Berry Outdoor Living Construction, there is a clear trend toward a cleaner, more defined look influenced by a more modern era viewpoint that values a non-cluttered look and feel. 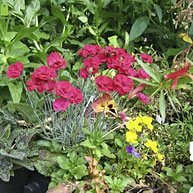 With respect to landscape design, in our circle of clients, we've seen a definite shift toward cleaner, artisan-crafted backyards and fewer "boxy", shrub-heavy yards. A Landscape Architect with a keen sense designs this effect.